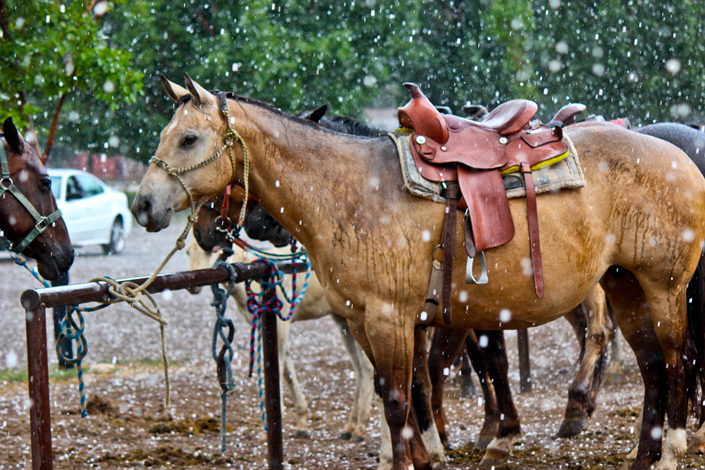 At an elevation of 6500 feet, the dude ranch boasts milder weather than you’ll fine in the rest of the state. We do, however, have four distinct seasons—spring, summer, winter and fall—with their. corresponding weather temperatures. Summer high temperatures generally average in the mid-80° Fahrenheit temperature range, and winter high temperatures range from 35° to 45° Fahrenheit. The Dude Ranch is open for ranch vacations from March through-mid November and offers seasonally appropriate activities. During the winter months, it’s open for groups that would like to rent the lodge and/or rooms.